Time to graduate to aerobatic flying? Or maybe you just need another fun 3D flyer? The Edge 540 is your answer. She's got the roll rate and the climb rate -- all rolled into one. All of the pieces of this beauty fit nicely together to create an aerodynamic performer. We love the nylon hinges on the rudder and the high quality 17g metal gear servos, You'll also find it easy to access the wires and ESC on this baby -- an especially important feature for big (dirty) fingered Steve. 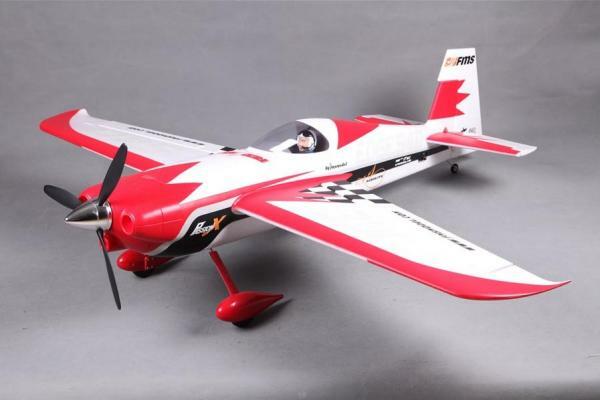 This plane is a must have for any serious stunt flyer. Order one today and start doing cork screws, barrel rolls and cuban 8's to your hearts content. The members of your club will cheer you on!